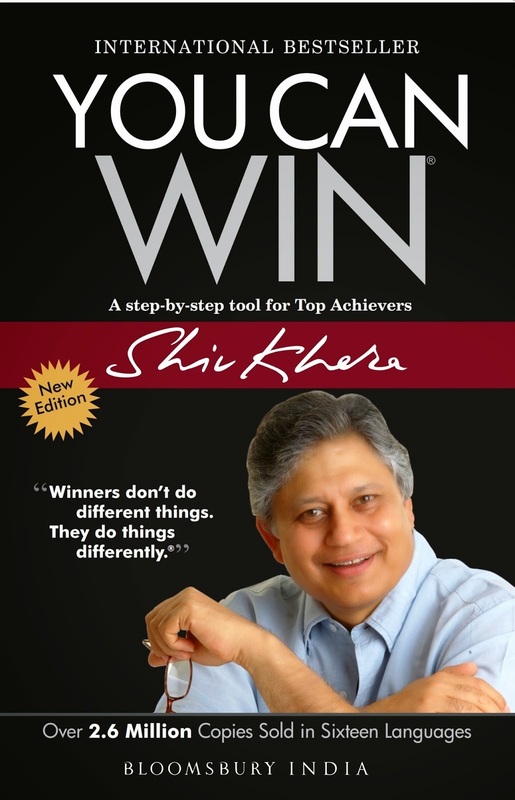 Renowned for being a motivational writer, a proficient speaker and someone who influences people to realize their true potential and get the best in their life, Mr. Shiv Khera was the highlight of the evening at the 33rd Sharjah International Book Fair on 11th November 2014. Khera is the author of 16 books. His first book was “You Can Win,” published in 1998 with a trademark quote- “Winners don’t do different things, they do things differently.” This book was a glorious success and has been translated into various languages. Khera has also written Living With Honour about living honorably and respectably in a fractured world, Freedom Is Not Free about the need for action to reform the Indian society and You Can Sell (2010). From writing on napkins and pieces of paper, to publishing his very first book, Shiv Khera started off with his hustle-bustle experience and journey into the world of books and enlightened the audience with his struggle to becoming an author. He carried away the audience into his actual life instances and motivated all to a great extent. “Don’t buy this book! Was written right at the top of my book-reviews sheet, but I never saw that sheet as my wife had hidden it beneath some files. Two years later, when my book had become the bestselling I found the book-reviews sheet hidden beneath some files,"
"This, taught me one lesson – No matter what you do in life, you do good, you will be criticized. You do bad, you will still be criticized. Just make sure you do good, and don’t even worry about the critics in this world. There are some people in this world, no matter which side you are, they are permanently on the other side and are constantly criticizing. We need to distinguish between constructive criticism and negative criticism,” said Khera. He believes that, life is full of choices and full of compromises and that many times in life people keep searching for things they cannot have and eventually tend to bring stress into their lives. Instead, he urged the audience to seek positive choices in life. “Something that I love and I’ve been practicing a lot is The Serenity Prayer -'God grant me the serenity to accept the things I cannot change; courage to change the things I can; and wisdom to know the difference',” he said. He further moved on to the theme of the evening, “Winners don’t do different things, they do things differently,” and said that many times people ask what do winners do differently? “Here’s what they do differently: Losers don’t like to do things. Winners don’t like to do it either but, they do it anyway. Losers don’t like to wake up in the morning. Winners don’t like to wake up in the morning either but, they still do. Losers don’t like to work hard. Winners don’t like to work hard either but, they still do! That’s the difference,” he said. Furthermore, Khera emphasized on the fact that good habits take time to come, but bad habits come easily. He also stressed on the importance of practice that can lead to perfection for “practice only makes permanent whatever we do." The audience was lured by his motivational speech, as he moved from one topic of interest to the other. He further managed to gauge and motivate the audience by giving them various instances from his own life. Khera is one of those motivational speakers who believe that the only people who will succeed in life are people who master 3 skills: People Skills, Persuasion Skills and Prioritizing Skills. “People are not assets. Only good people are assets, rest all are liabilities,” he quoted. He also compared the generation gap and differences and stated that today’s generation is so comfortable with using the computer that they can spend hours and hours in front of it. And, they become uncomfortable with talking to people in person. He further mentioned that 200-300 years back in the West, most marriages were arranged marriages which means marriage came first, love came afterwards. But today, it’s the reverse. Love marriages have come into existence where love comes first and marriage afterwards. And now what they do in the West is that, they have come up with a so called live-in relationship format, something without any commitments. “And when you ask them, why don’t they make a commitment? They say that they are checking compatibility. For five years, they check compatibility and then get married and two and half hours later they get divorced. What did they check for five years then? Have you ever seen a compatible couple in this world?” Khera asked. “What keeps your relationship moving is not compatibility. But, it is our ability to live with the incompatibilities in life,” he quoted with his words of wisdom. Khera proceeded with the signing of his book, for his ardent fans waiting in queue just to meet him.